Some of the industry’s busiest SEO forums have been raging with speculation recently in the wake of what seems to be yet another algorithm update from Google this January. Those who have been keeping a close eye on their site’s positions in the last few days may have noticed dramatic fluctuations and even significant drops, leading to widespread confusion and a great deal of frustration amongst those who have been enjoying top page SERPs of late. Happy New Year, eh? We’re not sure what’s causing this latest shake-up yet. When an update seems to be in progress, SEOs need to wait until the hype has settled down before they can begin to react and adapt their strategies to Google’s new requirements. Industry specialists need some some time to interpret their data and, in all probability, the search engine giant will eventually disclose a little more about what’s been going on, so we’re best to sit tight and see how it all pans out to avoid damaging campaigns further. With that said, Google has a way of remaining tight-lipped about its algorithm changes, at least until the community has had enough time to come to its own conclusions. In the last couple of days (16th – 18th January), hundreds of SEOs have reported that they’ve lost positions extremely quickly, with many fairly respectable SERPs (eg listings on pages one, two or three) plummeting to outside the top ten pages – movement that has obviously had a seriously huge impact on their website’s traffic levels. It’s not all doom and gloom, though. There are a few webmasters who have managed to retain their SERPs, and some who have actually experienced better exposure in the last 48 hours or so. Seems we’re getting mixed signals from Google, at least until they decide to let us know exactly what’s going on. Is this a Panda update? Early reports indicate that this latest algorithm tweak is not related to Panda. Many people who have suffered lost positions in the last few months due to various Panda updates have reported no further change in SERPs. Don’t take our word for it though. There’s talk of the update favouring exact match domains (EMDs). 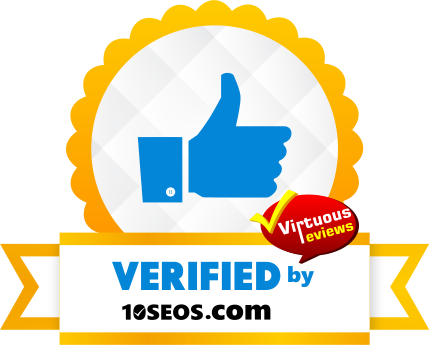 Many website owners and SEO consultants have reported that the SERPs are currently littered with a plethora of EMDs in place of branded URLs, and after taking a look for ourselves, we can confirm this seems to be the case. However, this may not indicate a permanent trend – the search engine may simply be re-assessing and re-ranking every single site according to a range of factors. What we have noticed is that sites with a higher concentration of exact march anchor text backlinks pointing to them seem to have been penalised (at least in the short term, anyway). When comparing the anchor text profile of a site that’s ranking highly with that of a site that’s been ‘hit’, it seems that Google is currently favouring sites which have a varied portfolio that includes common and branded phrases too. Building an unnatural amount of links with keyword rich anchor text was all the rage prior to April 2012’s Panda, but we clearly need to be highlighting the importance of strong, varied link building techniques to our clients these days. Which brings us on to our next point – sites which have always ranked well historically seem to have been particularly affected. New websites seem to be pushing through and taking up positions they could only have dreamed of several weeks ago. It’s always scary when Google rolls out another update out of the blue. After all, SEOs and their clients are effectively held to ransom by each algorithm ‘improvement’ (a term that’s often hotly contested by those who have been successful on the web to date, then find they lose their traffic and revenue almost overnight). All we can do as SEO consultants is make the most of the information that’s presented to us and look for solutions, and you can rest assured this is something that’s high up on the agenda of the team here at FSE. We’ll be monitoring the situation closely and will of course be passing on any information we have to our clients. We’re looking forward to seeing how this all pans out in the next few days. We’ll keep you posted!